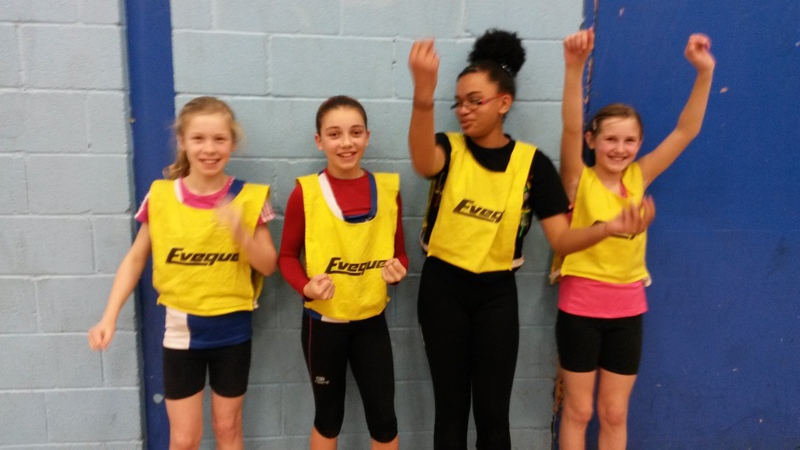 Well done to Freya, Lucy, Mia and Patience who were part of the Birmingham team at yesterday’s Regional Sportshall Final. The team finished second thanks to great performances by all. The Birmingham boys did one better, winning by a fair margin. Well done to all. Well done to everyone who braved the mud, Beacon Hill and the dreaded ditch at Newbold Comyn yesterday. There were some great performances with Megan McBrien providing the highlight by finishing 4th in the U20 women’s race. 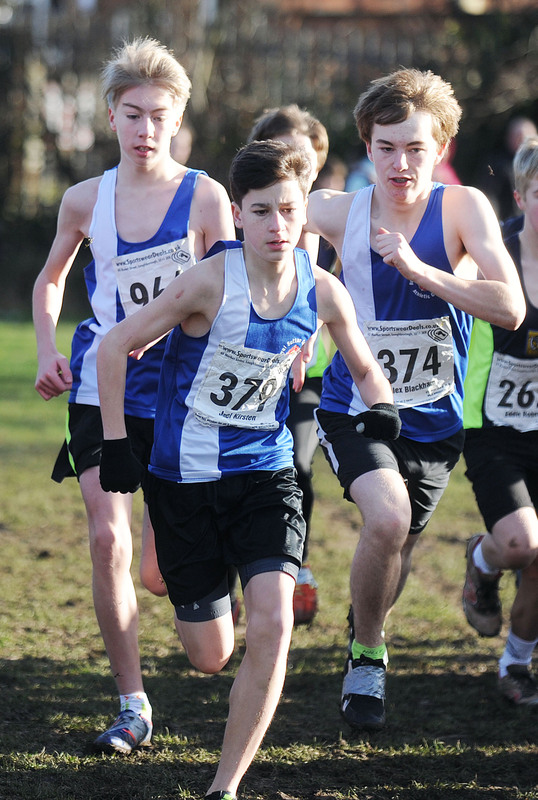 Other top performances came from Lewis Duval (25th – U13 boys), Shaun Evans (21st – U17 Men), Larna Partridge (26th – senior women) and Ollie Harradence (29th – senior men). The U13 boys and girls also did well in the team races finishing 8th and 7th respectively. Well done to everyone who ran! The results are available on the Midland County AA website. Photos, including the one shown, are available on Dave Payne’s Mudrunner Photography Facebook page. Tony and Meg are at the Regional Sportshall Finals with 4 of our Under 11s tomorrow, so there is no training for the sprints group. Good luck to Freya, Lucy, Mia and Patience. It’s Sportshall indoor athletics again this Friday at Stockland Green Leisure Centre, Slade Road, Erdington from 7-9.45pm. 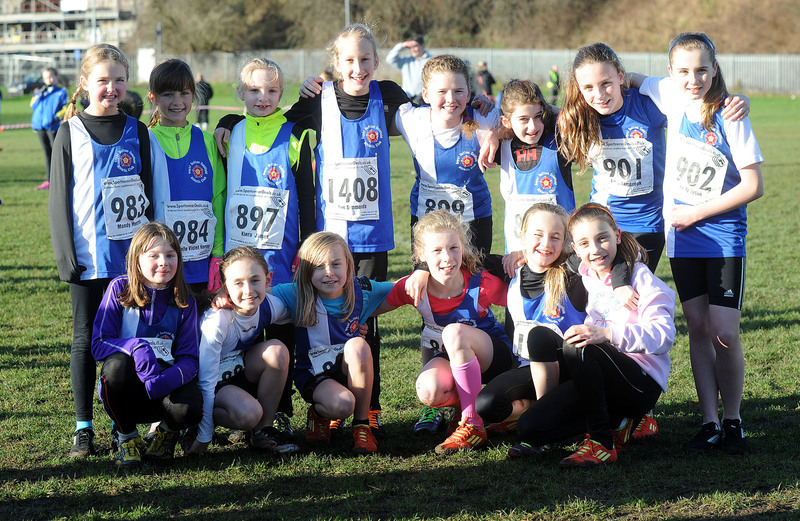 There are competitions (races and relays, standing jumps, speed bounce, chest pushes, etc, etc) for the U11, U13 and U15 age groups (school years 5 to 10) – it’s lots of fun! If you’d like to compete or want more details please speak to Tony Ashford, Megan Evans or Fiona Smith. A link to the Birmingham Sportshall website is here. The induction group for 7-9 year olds starts again this Thursday (23rd January). It is £1.50 a session. Meet in the clubhouse on Wyndley Lane at 4.55 pm. No need to book a place – just turn up with your child. Bring a water bottle and wear appropriate clothing. Laura Whittle and Katie Ingle were in action against some of the best runners in the country in Cardiff yesterday. Laura had a great run to finish second behind Charlotte Purdue in the senior women’s race. 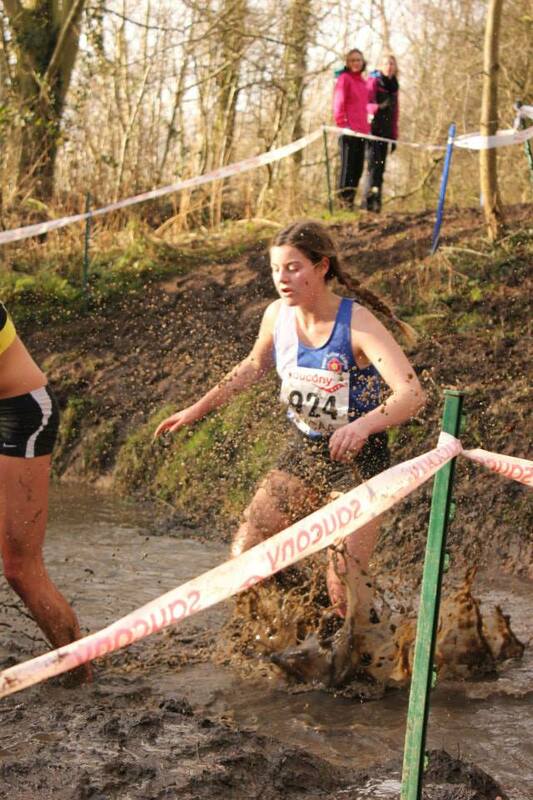 Katie Ingle continued her great form to finish sixth in the U20 women’s race. A race review is available on the British Athletics website. The results for todays race are available on the WMYACCL website. The club finished 4th on the day and remains in 4th place overall – well done everyone! The top performances came from Alex Stapleton who had another great run to finish 2nd in the U11 boys, whilst Georgia Curry ran superbly to finish 3rd in the U15 girls. Shaun Evans had his best run of the season to finish 7th in the U17 men’s race, whilst there were also top 10 finishes for Tamsyn Booth (U11 girls) and Lewis Duval (U13 boys). In the team races the highlights were provided by the U11 boys who finished 2nd, whilst the U11 girls and U15 girls both finished 3rd. There are some excellent photos taken by Marc Kirsten available on our FLICKR page – Thanks Marc! The next match is on 9 February at Perry Park (Birchfield).